This mod allows you to hatch previously useless dragon eggs. Once fostered and tamed, they’ll be your faithful companion in all situations and, of course, can be used for a ride! - To hatch a dragon egg, you’ll need to find a good place for it first. If you found one, place the egg block and simply right click it. The egg will then start to hatch, which will take a while. - Once grown up, you can tame the dragon with raw fish. It will then follow and protect you like other pets. 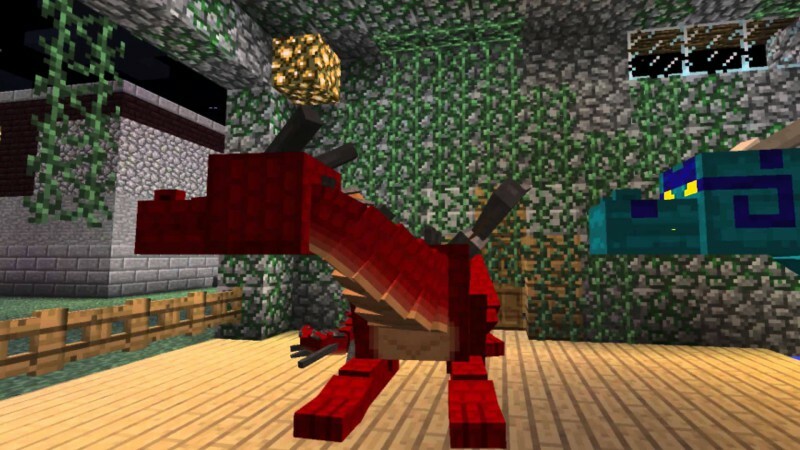 - You can command tamed dragons to lay down or stand up with the bone item. - To ride a tamed dragon, use a saddle on it, then right click it without holding an action item. - To heal injured dragons, feed it with raw fish, chicken, beef or porkchop (four hearts) or with rotten flesh (two hearts). - You can control the dragon with the Carrot On A Stick while riding it.